‘Legacies’ Spoilers: Why Is Caroline Missing From ‘Vampire Diaries’ Spinoff? “Legacies” is the second “Vampire Diaries” spinoff, and it’s set to bring back plenty of characters. However, despite running the school at the center of the CW TV show, Caroline Forbes-Salvatore won’t be among the familiar faces. Showrunner Julie Plec promised the absence was part of a storyline. [post_ads]Caroline, of course, didn’t up and abandon the kids she raised with Alaric (Matt Davis). She has told them part of the reason she is traveling, but she won’t tell them the whole truth. What’s coming after the girls? Well, in Mystic Falls, it could be a variety of monsters. However, Caroline might be researching the Gemini Coven’s Merge ritual, which was first explored on “The Vampire Diaries.” The coven, of which Josie and Lizzie are the only surviving members, requires the twins to combine forces. The strongest one will kill the other and absorb their magic. Without performing the ritual, the coven dies. The ritual happens when the witches are 22, so Caroline still has some time. But after watching Klaus (Joseph Morgan) sacrifice himself for Hope (Danielle Rose Russell) in the “Originals” series finale, Caroline might be motivated to find a solution as soon as possible. Keep in mind, this is speculation about the Merge ritual, so it’s entirely possible that there’s another threat to the “long-term survival” of Josie and Lizzie. To find out more, fans will have to tune in to the “Legacies” Season 1 premiere on Thursday, Oct. 25 at 9 p.m. EDT on The CW. 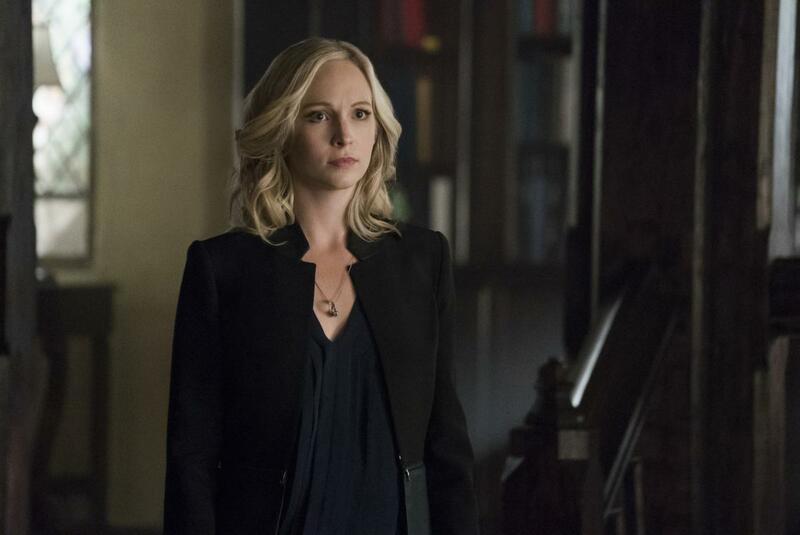 Entertainment - U.S. Daily News: ‘Legacies’ Spoilers: Why Is Caroline Missing From ‘Vampire Diaries’ Spinoff?